Because you are looking at quality laser technology that is FDA cleared for use in the U.S. and are wisely only considering devices from reputable laser companies, the laser will have a price tag that many business owners decide to finance (though many still pay cash). Financing a laser for tattoo removal is much easier than expected and can provide many benefits. Astanza has years of experience working with customers to secure financing from local, national, and niche financial institutions. The process can take as little as a few hours and the laser experts at Astanza can help facilitate the process for you. Use the Astanza Laser Financing Calculator to estimate your monthly payment. Why Finance a Laser vs. Paying Cash? Paying for equipment in cash up front can take away from on-hand capital as you're starting out. Having cash on-hand allows you to pay for running inventory, personnel, advertising, and any unexpected costs while running the business. By stretching the payments of a laser system out over a two to six year span, you allow the machine to essentially pay for itself along the way. Entrepreneurs often need this flexibility as they become established in a new industry. Often there can be tax benefits in financing a laser and making monthly payments rather than paying one lump sum. Payments can often be deducted from your taxes as operating expenses, ultimately lowering the overall cost of your financing contract. Besides, not the entire cost of the machine has to be financed – financiers will work with any percentage of the overall laser cost. Astanza clients have taken loans from a variety of different providers. The team at Astanza works with you to figure out the best business structure and financial plan for your individual needs and budget. Most often, clients use third-party lenders that specialize in capital leases, but many also use local banks, credit unions, angel investors, government organizations, and other well-known financial institutions to garner an attractive equipment loan. Astanza not only works closely with a handful of third-party business financiers who work specifically with capital equipment loans, but also can provide the resources you need when approaching other lenders. Typically, to arrange financing approval and rates, you simply need to provide answers to a handful of basic personal and financial questions, a valid invoice or product quote from the laser company, and possibly a brief history of financial statements. Often, for clients outside of the U.S., the best place to start searching for a business loan is at your everyday banking institution. You have a history with them and they have been known to offer the best rates in certain circumstances. However, local banks occasionally require liens on real estate, etc. which is not ideal and can negatively affect those without many assets. If you were not approved for financing, that does not necessarily mean that financing a laser is completely off the table. Other individuals can help you secure financing for your laser system. A business partner, a medical director physician, an existing business owner, or a family member can co-sign an equipment lease or loan. Regardless of what you think is the most attractive option, let Astanza’s financially savvy team help determine which type of financial institution makes the most sense to help you meet your goals. Click here to get pre-qualified. Just as every person entering the tattoo removal field has a different goal for their business, different types of loans and lenders make sense for different people, as well. For example, an experienced business owner with 10 years of successful financials would likely benefit more from one type of loan than a young entrepreneur starting their first business. Because of these different situations, do some research and talk to an Astanza representative about which option may be right for you. Make monthly payments of principle plus interest over a period of time with a fixed buyout option (usually 10% or $1) at the end of the agreement. Make monthly payments of principle plus interest over a set period of time (e.g. 3 years). After the third year an option is available to return the equipment without further obligation or pay off the remainder of equipment cost. Laser tattoo removal is a booming industry and client successes are abundant, but with each of these loan types, be cognizant of the financial contract and what happens if you pay the loan off sooner than agreed upon, make a lump sum payment, or default on the loan and business completely. 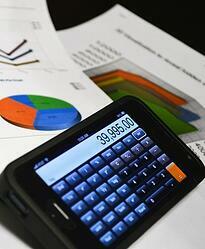 Just like a vehicle loan, some basic financial information is needed for consideration. Credit history, existing capital, and possibly market conditions and individual character are assessed by financiers before offering loans and setting terms. What information is collected depends upon the individual and their entrepreneurial business history. If someone is a first time business owner, their personal credit, collateral, and overall financial stability is considered. For someone with an existing business or a business partner, the lender's analysis is focused more on the financial history of the business than that of the individuals. What is your personal credit history? What is your credit score? Have you thought this business idea through? Do you have a plan? Has the local market been analyzed? Regional? National? What will you do with the money? What percentage of the loan will be used for what expenses? How will you pay the loan back? What are your revenue expectations? Is this person actually capable of operating a successful and profitable business? 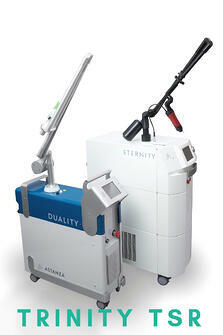 Financing a laser for tattoo removal is an exceptional opportunity. It allows your business to have more in your pocket for business related emergencies and everyday expenditures. A set monthly payment and more cash on hand gives you the ability to plan smarter, make better decisions, and run your business more smoothly, with less worry. Like any type of loan or investment, be aware of your monthly and full contractual financial obligations. The finance partners of Astanza are tried and tested with clients from all over the U.S., with wildly different backgrounds. If you are interested in the laser tattoo removal business and would like to see if you qualify for a capital equipment lease or would simply like to discuss the process and your options with a seasoned Astanza representative, call (800) 364-9010. Estimate your payment with the Astanza Laser Financing Calculator.